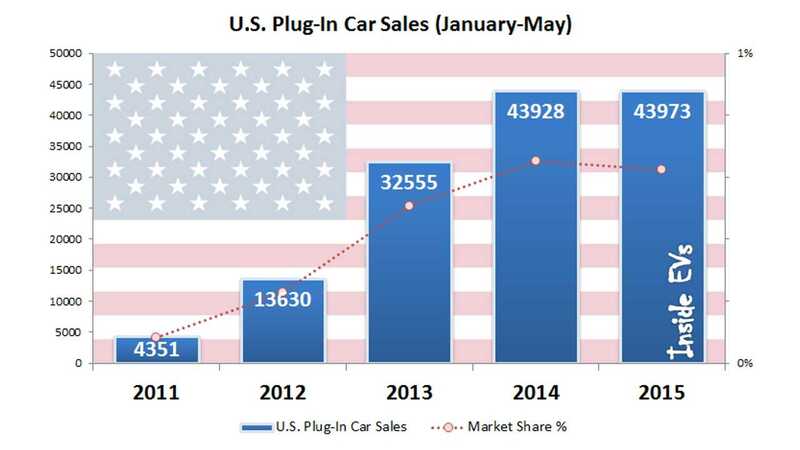 This is not the first time hybrid cars are confused with electric ones, but when sales of hybrids are falling in the US, then electric cars seem to be grouped in just so that the media can declare plug-ins a failure. "With gasoline prices still well below a year earlier, hybrids and electrics are in less demand — even from existing alt-fuel car owners. Though prices at the pump have been rebounding from their July-to-January plunge, just 3% of consumers in a May poll by financial firm Stifel said they would prefer to buy an electric, down from 4% in February. Meanwhile, 24% say they would go for a hybrid vs. 31% in February. And professed preferences haven't translated into actual sales. And hybrid loyalty doesn't have the same range: 22% of people who traded in their hybrids and EVs this year bought a new SUV, according to a survey by auto site Edmunds.com. That's up from 11.9% three years ago. 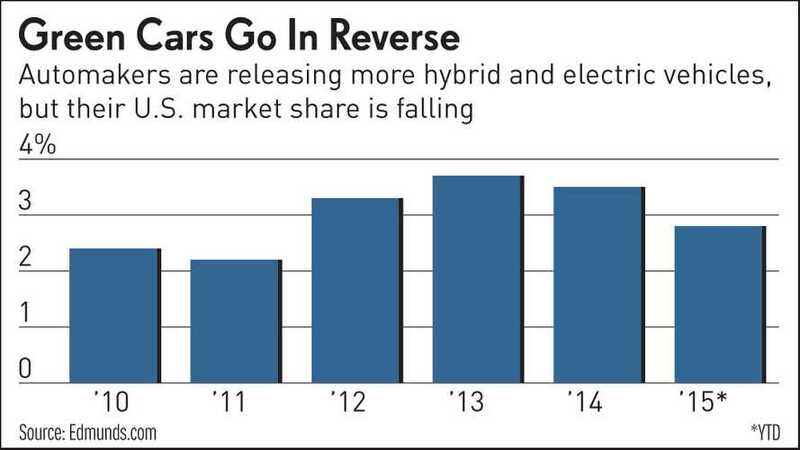 Just 45% of those who traded in a hybrid or EV got another alternative-fuel vehicle, down from more than 60% in 2012. Despite the high cost of their alt-vehicle programs, carmakers have been cranking out hybrids and EVs to meet government fuel-efficiency and emission mandates, as well as to not get left behind if the technologies take off." 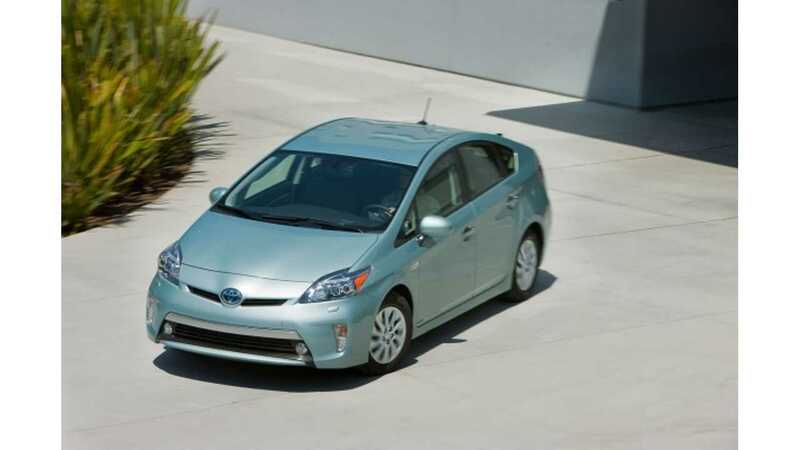 Sales of hybrids are shrinking because of lower gas prices, which is major factor encouraging one to buy more fuel efficient cars. But electric cars will always be less affected, because they offer some other values besides just improved fuel economy - from advanced features and smartphone apps, through silence and refined drive experience to no need or almost no need for visiting a gas station. There is still a significant portion of customers who will not save too much on gasoline, but still prefer EVs simply because they are the better car. In fact, despite the fact that the Toyota Prius Plug-in hybrid is out of production and awaiting a new model, the Chevrolet Volt also awaiting launch of the next generation 2016 model and the Nissan LEAF bouncing back after a surge in 2014 - also reportedly awaiting a longer range, 30 kWh version, plug-in cars still managed to achieve almost exactly the same sales level as in 2014 - around 44,000 after five months. It never was better.